An investment company focused on empowerment, growth and value creation, the Masimong Group was established in 2013 with firm roots in the mining industry. Born from the shared vision of well-regarded businessmen, Mike Teke and Doug Gain, Masimong has been able to expand its investment platform through the acquisition and development of various strategic investments and opportunities. Diversifying their investments into new, strategic sectors to take advantage of value opportunities, Masimong Holdings’ vision, going forward, is to tackle their next growth cycle and scale the business accordingly. “In order to do that, we need to be very focused. Our strategy for Masimong is to invest in three core sectors—financial services, mining and agriculture. 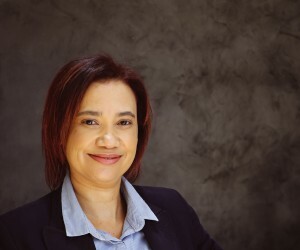 We also hope to list Masimong in the foreseeable future, as we continue to grow a formidable black-controlled investment holding company,” says Althea Discala, CEO for Masimong Holdings. Navigating through the challenges presented by South Africa’s current economic environment, Masimong Holdings has strived to not only survive but succeed as it wades through low-growth levels that have had an impact, not only on GDP but also interest rates and unemployment. “It has also affected business and as an investment holding company, we are not immune to this environment. From our perspective, we try to invest in businesses where, should the economic climate suddenly change, they are able to weather the storm. But you will always have businesses that are badly affected by the economy and we are equally at risk. For this reason, it is very important to focus on our strategy of scaling and diversifying to make sure that we remain sustainable,” she says. Access to capital and time are just two of the challenges facing many investment firms in the country and Discala believes that the best way to handle this problem is to ensure you deploy resources correctly. “When it comes to assessing where best to deploy these limited resources, you must send it to where it will be most effective. It is essential then to invest in companies you believe will give you the most meaningful return. When it comes to capital management, all investment holding companies face this challenge. But despite the current environment, Masimong Holdings has successfully expanded its portfolio to include 14 companies, and they are all sustainable businesses, despite each having their own challenges. “To survive as an investment holding company in these conditions, you do need to be agile and flexible to keep up with the constantly changing environment. You need to keep looking at your strategy and be ready to make quick decisions,” she says. Rather than set themselves up as a carbon copy of other investment firms, Masimong Holdings has worked tirelessly to find not only new growth opportunities but also transformation opportunities in the various sectors they have identified. “We are also very hands-on when it comes to our chosen investments and we do a lot of work upfront. We see a lot of opportunity coming our way as a result, though our strategy is quite focused—we don’t want to be everything to everyone. Instead, Masimong is very select about its assets; we make sure that our partners’ visions are well aligned with our own,” Discala explains. A part of Masimong’s strategy involves investing meaningful stakes in scalable businesses in the sectors they have identified, and they have specifically chosen financial services, mining and agriculture due to their potential to be especially meaningful to the South African economy, job creation and the GDP. “There is also very much a transformation focus where we hope to make a meaningful difference. What we hope to do is look at the social impact of these investments while also making a financial return,” she says. Boasting a strong combination of an entrepreneurial spirit and corporate knowledge, Masimong uses these skills to assess potential investments upfront, with their investment committee holding quarterly meetings to assess both qualitative and quantitative merits of a company. “We’re not here to take over their business, we invest in businesses that are already successful and we don’t want to mess with that. Companies looking for a partner often look at their particular value-add and we offer these businesses the potential to grow with the benefit of a different viewpoint, our own brand of business acumen and our collective experience. We can assist these companies in new and innovative ways but to grow, they also need to be open to our leadership in order to explore these different avenues of growth,” says Discala. Risk management is also key in any institution and by employing a robust process upfront, Masimong is able to prevent a lot of common mistakes from happening. “We’ve ensured we have an ethos that we stick to and we have numerous processes and systems in place that are closely aligned to our strategy. We strongly believe in governance but we also understand that too many processes can hamper your ability to be nimble. It’s important to find the balance between being a responsible corporate citizen and being flexible enough to seize new opportunities,” she says. For Discala, diversity is also extremely important and she believes different viewpoints, backgrounds, experience and knowledge are crucial to the success of any business. “Our own team has been set up with a good complement of people. We have three Chartered Accountants in the team and it is very important for us to hire the right people, where there is a good culture fit as well as a competent, strong foundation. They also need to be versatile, where they can fill various needs. We look for specialists who are also flexible, who don’t want to stick to structure and are able to think on their feet,” she explains. Masimong has recently closed two very important deals, one in the agricultural sector and the other in mining. Their first venture into agriculture, the group has partnered with a family-run business that produces, packages and exports citrus and tea globally. “We have also acquired a substantial stake in three of Anglo’s coal assets, and this is not only a flagship mining deal for Masimong but also a big step for transformation in South Africa. “When it comes to transformation, I certainly think we could be doing more. I recently read an article that said only 4.6% of investments and savings are managed by black firms. That number is too low and more needs to be done by employing black and female asset managers. This industry is very much male-dominated, so we do need more women and more women on the boards. There has been an improvement but there is more we can do,” she says. Discala, who grew up in Johannesburg, has had a varied and exciting career in the financial sector. 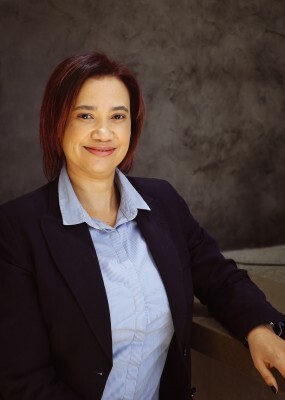 Joining Masimong as the CFO in 2016, she was appointed as CEO at the beginning of this year. “I always knew I wanted to study accounting and I have worked in the banking and commercial services sector for more than 10 years. I moved around in that space and enjoyed a wide variety of experiences in everything from insurance to real estate, finance and auditing. That exposure to those different industry fields within financial services has set up the perfect platform for my current role,” she concludes.